your sweet present. With a nice, finished look, this wrapper makes your gift absolutely perfect. - Made of silver paper instead of aluminum. - Comes with a #30 paper backing for better coverage. - Easy to slide and wrap a candy bar without cutting the paper. - Bright and captivating design to enhance the gift's appearance. - Does not flake or peel too easily once folded. 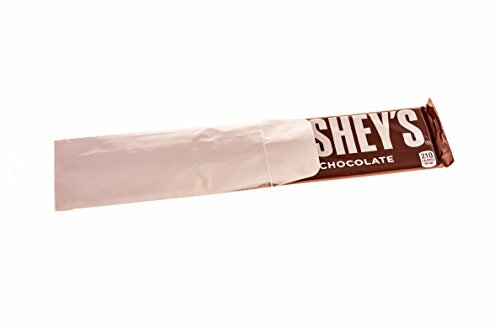 KEEP YOUR HERSHEY'S BAR FRESH: The silver foil lining inside the envelope will keep your delicious candy bar fresh and maintain optimum temperatures to keep the candy bar from melting or freezing.